Sedona wedding professionals were featured nationally on BRIDES.com through the publication of Kendra Scott’s wedding in Sedona, Arizona. 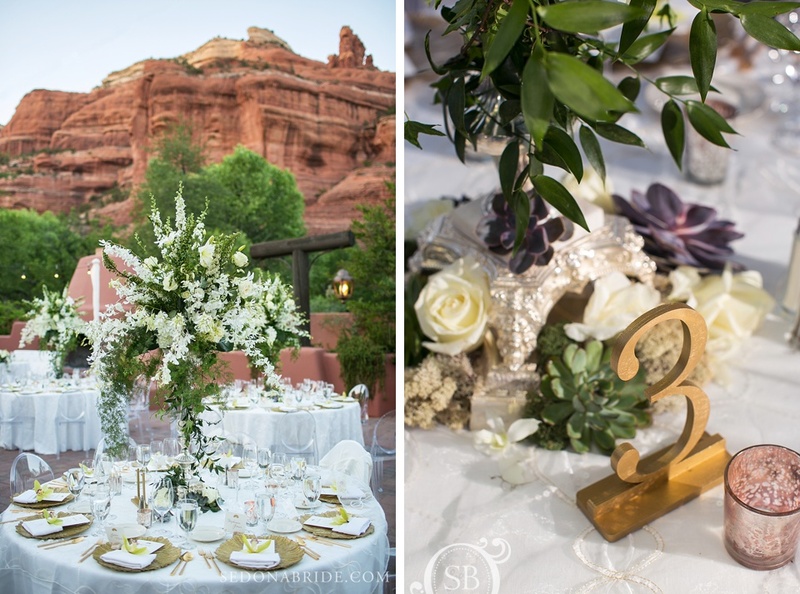 Local Sedona wedding professionals, officiant Shanandoah of Stirling Weddings and Events, Events by Show Stoppers, and photographers Katrina Wallace and Andrew Mejia of Sedona Bride participated in the magical Sedona wedding weekend. 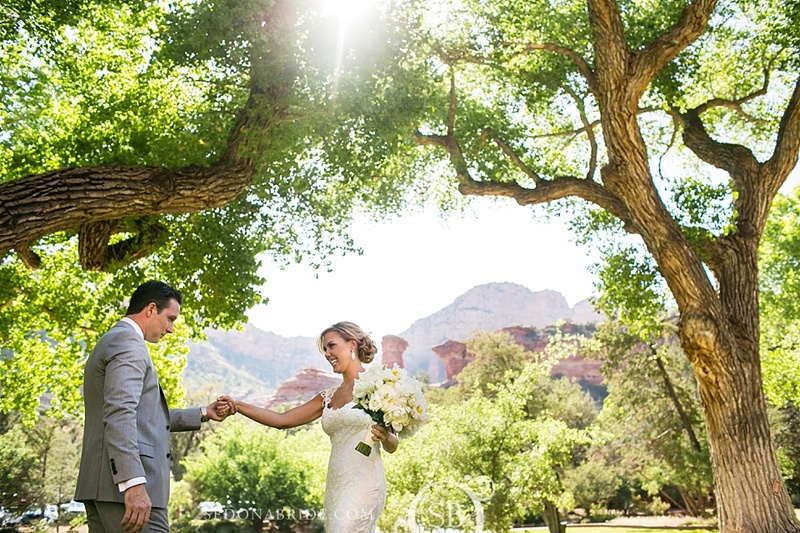 The wedding took place at Enchantment Resort and Spa in Boynton Canyon, just minutes off the beaten path in West Sedona. 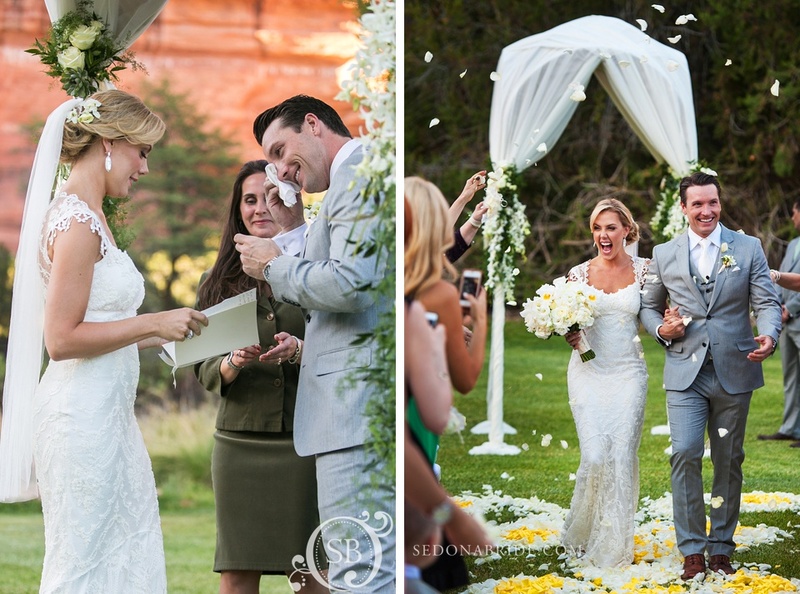 Weddings in Sedona are popular year round, and this wedding took place in the early weeks of summer before the big summer monsoons set in. Guests enjoyed a weekend of events, with Jeep tours, spa dates, and golf outings at nearby Sedona golf resorts. The ceremony took place on the lawn situated next to Coconino National Forest in the heart of red rock country. After the ceremony under the big red rock views, guests were transported by trolley back to the cocktail hour and reception areas and enjoyed a lovely dinner under the stars. 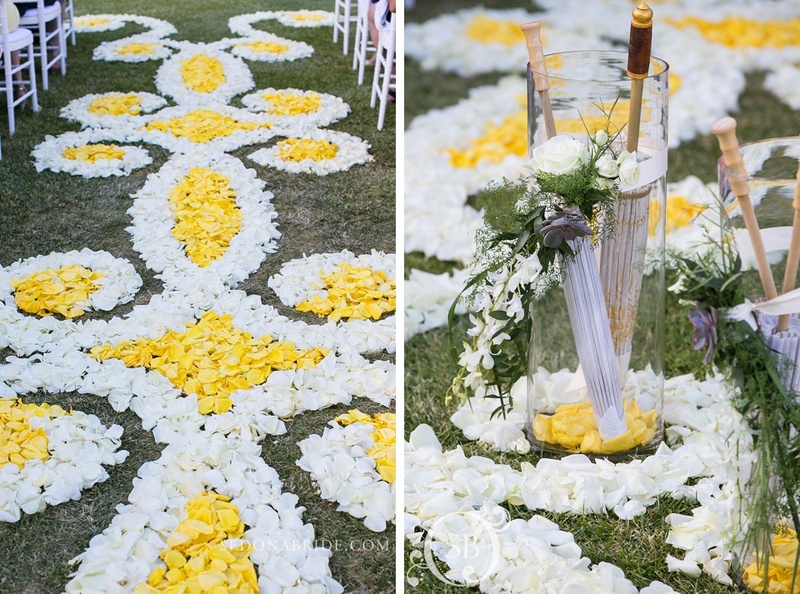 See more images from this beautiful wedding on BRIDES.com.